My old friend, Katie, is fond of opining that the downfall of our society occurred when stores began to stay open on Sundays. From there, she says, it’s been a downhill slide. She might be right. My childhood Sundays were a mixed bag: enforced church attendance (faking an illness having been exhausted as an excuse years earlier), my mother’s dutiful Sunday dinner executed with earnestness if lacking in passion and culinary talent, and then the blessed release of the children out into the wild. My Dad would daze himself on TV football, and my Mom retreated for her quiet time. There was no business to conduct, and there were no tasks to complete other than the usual chores required to run a household and small farm, and these were kept to a minimum on Sundays. God’s day of rest. With God and parents at rest, my older brother and younger sister were my playmates on Sunday afternoons. But, as we approached our teenage years, more and more often we chose our own separate pursuits on Sundays. And that’s when I began what has become a lifelong tradition: a Sunday bike ride. I don’t quite remember the bike I rode in the mid-1960’s (this was before getting my green sparkle Spyder with banana seat), but I do remember that it had an internal hub. I suspect that it was something like the 1968 Sears Econo model depicted above, but was probably the smaller child’s version. 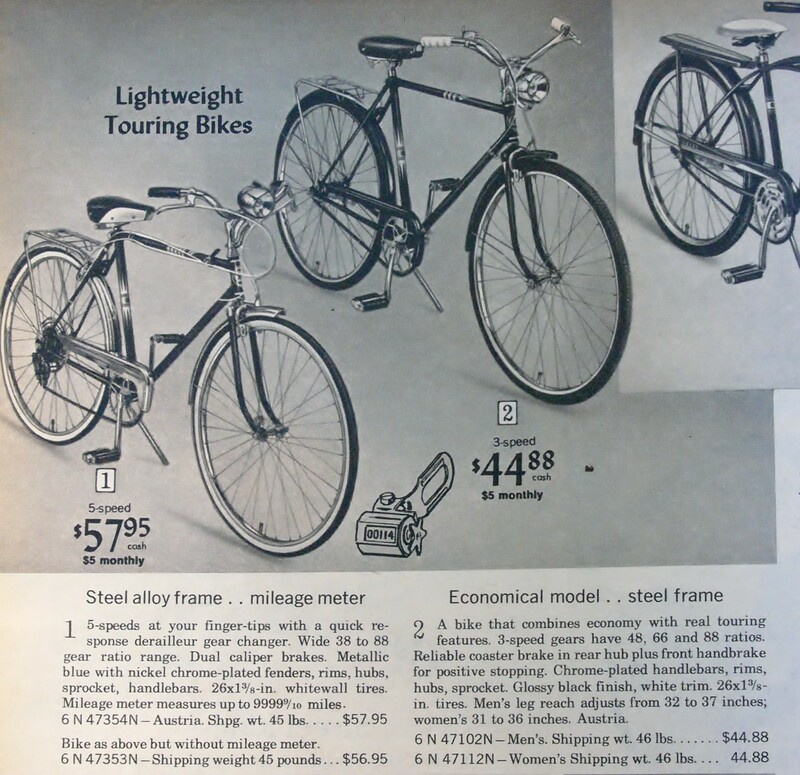 It was a diamond frame, with upright bars, and definitely sported a battery powered headlamp. It was challenging to ride, because it had no low gears, and while I understood the basics of derailleur shifting back then, I was confounded by what could possibly be going on inside the internal hub. My father would attempt to explain that there were gears inside, and something called a planet. I would stare endlessly at the tiny chain emerging from inside the hub and imagined that it housed a miniature derailleur on the inside. I could not figure it out. But that did not stop me from riding that bike. The countryside around our home was hilly, but along the base of the hills was the Applegate River Valley of Southern Oregon. The road running through the valley was in no way designed to accommodate a 10 year old on a bicycle. There are blind curves, no shoulders, and narrow lanes. That’s another thing that’s changed since then: today’s parents would never allow their unaccompanied 10 year old to ride these roads. It was a different time, where the pace was slower and neighbors watched over each other’s kids, at least to some degree. To prepare for my ride, I would pack up snacks, water, and tools (like a good Girl Scout) into my bike’s front wire basket. My adventures took me off road, sometimes walking my bike up the steep dirt logging roads in the area. 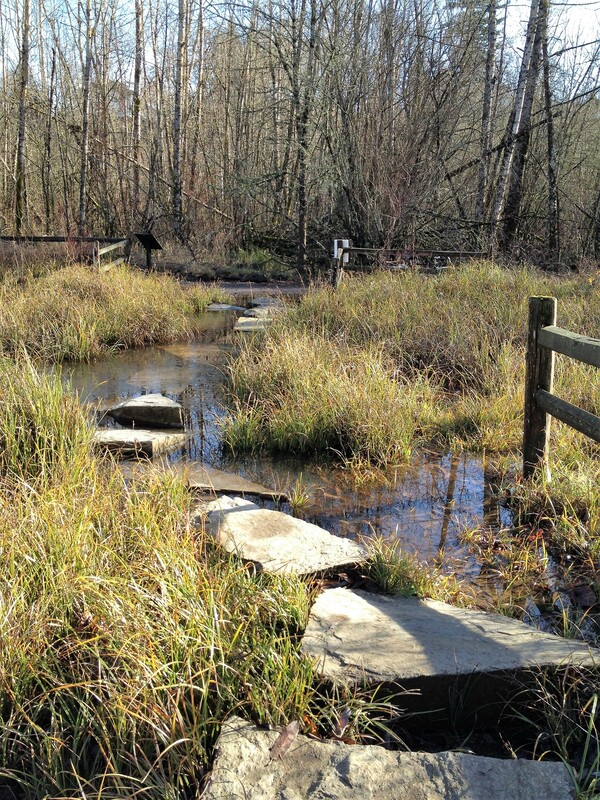 I cycled past streams, irrigation canals, and small creeks. Upon return, my basket almost always carried something I hadn’t started with: a wounded bird, a small turtle, a beautiful stone. When I lived in Newport, Oregon in the late 1970’s, my Sunday ride was the trip up Yaquina Bay. 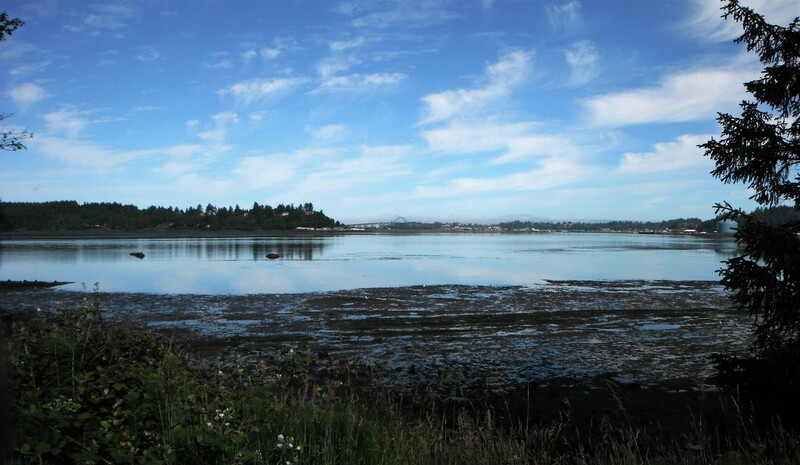 That ride was mostly flat, along the Yaquina River estuary, an important waterway and resource for the Siletz tribe who lived in the area, before they were forced out by white invaders in the mid 1800’s. When I visit Newport, I usually plan a ride up Yaquina Bay Road. Every time I ride this road I am greeted with Nature’s enduring beauty, and I try to imagine this bay as it was hundreds of years ago. Today’s Sunday ride took me out to Oak’s Bottom where I was treated to a Bald Eagle flying overhead. On the way through the wetlands I saw Great Blue Herons, Northern Flickers, and a rarely observed Green Heron, among the other wintering birds. While I didn’t add anything to my “basket”, I brought home instead the images and memories of today’s ride with its bright, low end-of-the-year sunlight, and bone-chilling wind. A perfect way to end this year and begin anew. 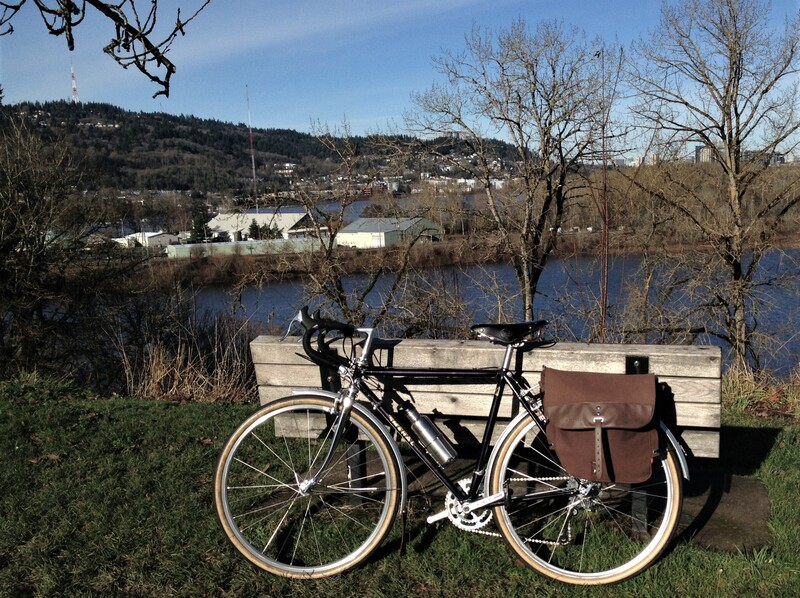 This entry was posted in city cycling, cycling, Touring bicycle, town bike, Vintage French Bicycle and tagged custom vintage bicycle, Oaks Bottom Wildlife Refuge, yaquina bay by Nola Wilken. Bookmark the permalink. Enjoyed that immensely. I tend to agree with the Sunday shop opening. As a kid (from ages 10 to 16) I rode my bike everywhere, neither my mum or dad could drive, so it was my primary form of transport, on a Sunday (from about the age of 13) I would choose a different destination and head off. Being brought up on the outskirts of London, some of my rides would take me to Central London, through St James’s Park and down The Mall to Buckingham Palace or to The Monument, where The Great Fire of London started in 1666. London’s streets were so much quieter on a Sunday back then, comparatively deserted as opposed to now. I have been an avid cyclist all my life, I have never raced, I have always been a leisure cyclist, that’s not to say that I don’t get competitive with myself, I do, but for me, the pleasure of getting out, on one of my bikes, is totally unbeatable, stresses, trials and tribulations, seem to evaporate and the modern world is hauled back into kilter. Paul – thank you for sharing your childhood cycling experiences. I think these stories need to be preserved – our children and grandchildren need to hear them. Thanks, Daryl. I hope you have many enjoyable rides in the New Year! What a wonderful Sunday ride! One thing that new cyclists often comment on are the sights, sounds and smells they never experienced before until out on a ride. Cycling brings all the senses to the forefront. Thanks for sharing this.